Passion. That’s the one element that attracts us to the great wines of the world. Our passion is shared over great meals, with friends and family, and in adventurous travels to fantastic wine regions. This passion is reignited each time we pop, dissect, romance and sip every bottle we encounter. Our planet is dotted with great wines from every corner of the map. We discover them through ratings from critics, suggestions from wine retailers or dinners with friends. We assimilate our impressions by reading, researching and enjoying — one sip at a time. 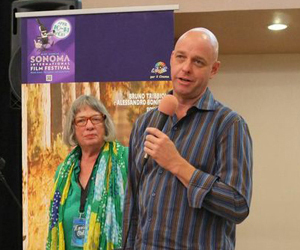 “Cannubi – A Vineyard Kissed by God” was written, directed and filmed by James Orr, who was present at the screening to introduce the film. Orr has achieved Hollywood acclaim as the writer/director/producer of such films as Mr. Destiny, Father of the Bride, Sister Act 2, Three Men and a Baby, Man of the House and others. He has been a collector of world-class wines for three decades. 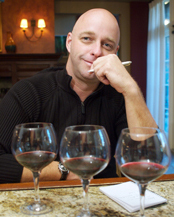 The film was narrated and produced by James Suckling, one of the most influential wine critics in the world, spending 29 years as an editor for Wine Spectator. He estimates that he has tasted around 150,000 wines in his career. Cannubi is the central and most-coveted vineyard in Barolo. Adjacent vineyards include Cannubi Boschi, Cannubi San Lorenzo, Cannubi Muscatel and Cannubi Valletta. These neighboring vineyards make up an additional 60 acres, and they all want a piece of the original Cannubi, or at least the price that it commands. In the film, Suckling takes us on a romantic journey through this magical Cannubi vineyard. Two-dozen producers create wines from this miniscule 35-acre plot, and (as mentioned above) there are plenty of others who want in on it. We learn of Cannubi’s struggle for identity, we meet the winemakers and experience passionate tensions between producers. We often hear that great wines are all about place, and this vineyard was the first in Barolo, dating back to the early 1,700s. The title suggests some intervention from God, and nearly every Cannubi producer interviewed makes reference to God or the heavens. 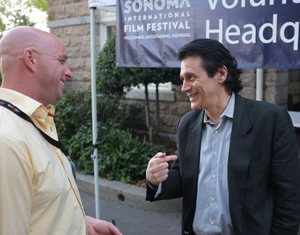 Grapelive’s Bradley Gray spent some time with James Orr at the 16th Annual Sonoma International Film Festival, and got some additional insight on this magical wine film. Bradley Gray: How did the film come about? James Orr: We initially went there to make a promotional film for some Barolo producers, promoting Barolo wines, etcetera. When we got there, we found this whole situation going on with Cannubi and the surrounding vineyards, so we thought we should do this story too, as it’s a really engaging story of what’s going on in the wine world. BG: There are merits on both sides of the controversy. How do you see it being resolved? JO: You are right! There are merits on both sides of the story. I think it’s ultimately going to be resolved in Italian High Court, but it’s complicated in many ways, because (as one of the producer in the movie said), all of the wines from this area, including the surrounding Cannubis, are good wines, even if they don’t have the single Cannubi designation. Historically, Cannubi has always been the heart of the Cannubi vineyards. There are more people interested in keeping it that way rather than not keeping it that way. BG: It was clearly illustrated in the film that this is a small piece of land, and everybody wants a piece of it, but they can’t all have a piece. Do you feel this argument is being driven by price and salability? Is it all about money? Or is there passion and history involved? JO: It’s about money to some degree. The price difference between a Cannubi single-designate and a Cannubi Boschi or any of the other Cannubi designates is significant. A bottle of designate, say Damilano Cannubi may cost $80-125, depending on where in the world you get it. A Cannubi Boschi may be $75 at the high end. A Boschi is not quite as desired within the community, because these are people who know Barolos, love Barolos. The collectors really go for the single-vineyard designates, and they are willing to pay a little bit more. I’d estimate that this is 75% about money and 25% about passion. BG: In the film, you and James Suckling brought together all of the Cannubi producers for a dinner. James Suckling comments that it was a tense beginning, that the mood was chilly, and he even said; “What a disaster!” Can you elaborate on this? JO: These are all great wine producers in their own right, and they probably would have never gotten together for a dinner like this if it weren’t for James and for us doing this movie. So James took advantage of that, and invited them all. It wasn’t that easy to get them all together for one night. It took some seducing, but we did get them all there. In the beginning, it wasn’t going well at all! It wasn’t very warm. With the wine, they became what they are – brothers, sisters, the Cannubi! By the end of the evening, there was nothing but warmth in the room. BG: The climax of the film was a toast given by James Suckling. Was that moment truly as magical as it came across in the film? JO: Here’s an interesting sidebar. He initially did that toast in Italian, and yes, it was magical. But it was a fairly long speech in Italian that was going to require a lot of subtitles. So, I asked him to do it again in English, and that’s what we used for the movie. I felt that it was better to see it than to be distracted by reading along with subtitles. BG: Did you have any preconceived notions about Cannubi that changed during the making of this film? JO: Yeah, in fact I did! I was certainly aware of Cannubi before, but in doing the movie and tasting so many Cannubis from so many different producers – I now have an enormous regard for Cannubi and Cannubi wines than I didn’t have before. For me, as a collector and a lover of Italian wine for years, I always thought Barolos to be elegant, feminine and kind of the Burgundy of Italy. But on top of all of that, they were powerful! “Cannubi – A Vineyard Kissed by God” made its world premiere at the Sonoma International Film Festival, which was quite fitting. In the heart of California wine country, the festival showcases not only great films, but also the finest wines from the Sonoma Valley. If you like wine and film, this is one festival not to miss! This film is really Cannubi 101. It would have taken months of reading, tasting, chatting and researching to learn what one absorbs by thoroughly enjoying a half-hour movie. This movie has been carefully created to suit television, and Orr and Suckling are optimistic that Food Channel or Discovery Channel may pick it up. If you can wait a month (estimated May or June), you can download it from www.JamesSuckling.com. 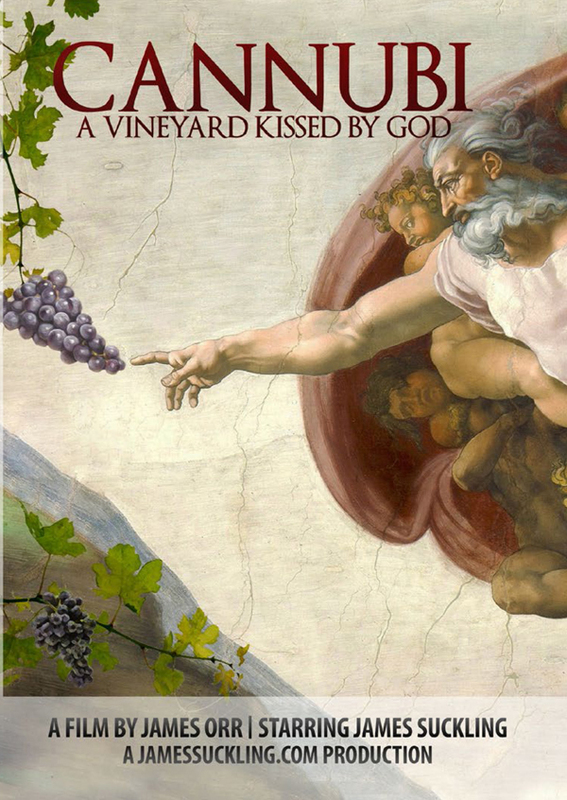 “Cannubi – A Vineyard Kissed by God” is delightful, but there is a downside that will cost you about $100 — you won’t be able to resist that Cannubi on your favorite wine shop’s shelf! Treat yourself and enjoy it while watching “Cannubi – A Vineyard Kissed by God.” You’ll be glad you did.